The actor Corey Hawkins honestly seems to be everywhere. He is perhaps best known for playing rapper Dr. Dre in the movie "Straight Outta Compton." COREY HAWKINS: (As Dr. Dre) All right, so look. Your rhymes ain't tight, it ain't making the record. GREENE: Now in theaters, you can see Hawkins in the new "King Kong" movie. On television, he's the lead in the action drama show "24 Legacy." HAWKINS: (As Eric Carter) We're blown, the whole squad. MIRANDA OTTO: (As Rebecca Ingram) What? HAWKINS: (As Eric Carter) Bin-Khalid's people found us. They have our new names, and three of them just broke into my house. GREENE: I told you he's like everywhere, and as if that were not enough, Corey Hawkins is now co-starring on Broadway in the new production of "Six Degrees Of Separation." NPR's Elizabeth Blair spent some time with Hawkins recently and found out that he was raised to think of his art as a way to engage as a citizen. 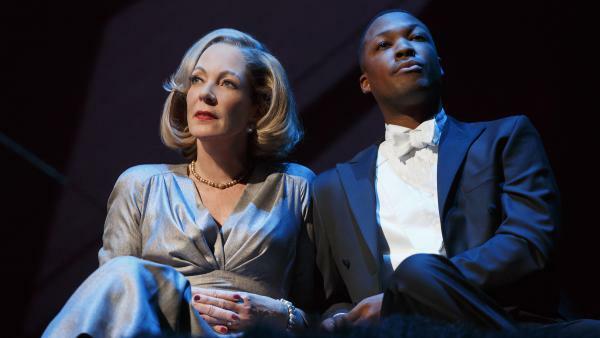 ELIZABETH BLAIR, BYLINE: Corey Hawkins remembers the moment he knew he wanted to be a performer. 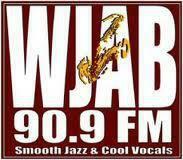 He was 9 years old auditioning for director and choreographer Debbie Allen at the Kennedy Center in Washington. HAWKINS: I was going in for the part of Teeny Tiny Tappin Theo. That was the kid's name (laughter). BLAIR: It was Allen's musical "Brothers Of The Night" about a reverend who doesn't approve of his 12 sons' all-night dancing. DEBBIE ALLEN: And I was looking for who was going to be this very special, the youngest of all the brothers Teeny Tiny Tappin Theo? HAWKINS: I didn't know how to tap at all, but I wanted to be a part of the show. And I just brought these brand new tap shoes. The, like, stickers were still on it, and (laughter) it was just the silliest thing. And my mom was just like you can do it, you can do it. And I just remember (imitating tapping) like just tapping my feet. ALLEN: He was just so alive. He had confidence. He danced so well. HAWKINS: Halfway through, Debbie Allen jumped out of her chair, and she was like you better tap, oh, my God, oh, my goodness. And she was just going crazy, and I was like oh, my God, this is amazing. And it just gave me a bit of a - like a high. BLAIR: Not only did 9-year-old Corey Hawkins tap, he sang. HAWKINS: (As Teeny Tiny Tappin Theo, singing) Sunday, Sunday, Sunday will be every day of the week. BLAIR: In the meantime, Corey Hawkins' mother was a single mom raising two kids and working full time as a D.C. police officer. Monicamarie Hawkins also remembers Debbie Allen's enthusiasm. MONICAMARIE HAWKINS: She loved him. She actually wanted him. She was like, mom, can he come move with me? BLAIR: Debbie Allen admits she was pretty possessive. ALLEN: His mother and I had a big fight (laughter). BLAIR: Allen works with a lot of young people, and she knew Corey Hawkins had something special. When he was a teenager, Allen tried to convince his mom to let him star in another one of her shows. ALLEN: I remember the mother saying to me he can't be in the show, Ms. Allen. I'm not sure about his grades. I said, you better listen to me. This child is going to go the distance. No, you cannot take him from me. His mother has been a police officer, you know, all this time. So it was like - I think I told her this, well, you might as well put him in jail now. BLAIR: Corey Hawkins never landed in jail. But he did learn a lot about law enforcement growing up, and that has served him well playing the lead in the action drama "24 Legacy." In one episode, his character, a former U.S. Army Ranger, intentionally gets himself arrested. UNIDENTIFIED ACTRESS: (As character) You're going to let them arrest you? HAWKINS: (As Eric Carter) Look, I'm a black man standing on the corner of Third and Decatur. Trust me, it won't be that hard. 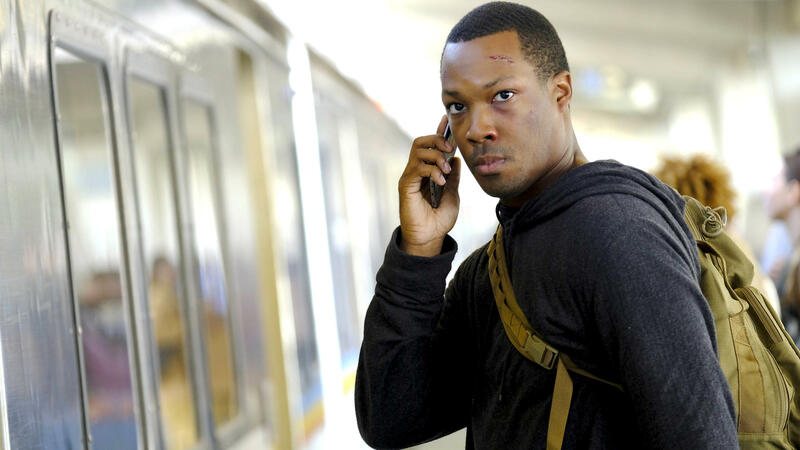 ALLEN: Since Corey Hawkins' mother is a real police officer, he convinced the show to give her a small part in the episode. When the handcuffed Corey is let into the station, Monicamarie Hawkins is the officer at the front desk. HAWKINS: (As Police Desk Clerk) Hey, Paul. What you got? BILL KELLY: (As Officer Paul Vernon) Vagrancy and resisting arrest. HAWKINS: (As Police Desk Clerk) That's not a good way to start the day. BLAIR: And she shoots the young vagrant a look of disgust - Corey Hawkins. HAWKINS: I'm like, I've seen that look before (laughter). I've seen that look before. BLAIR: Monicamarie Hawkins has been an officer with D.C.'s Metropolitan Police Department for almost 28 years. HAWKINS: My dad didn't want me to be a police officer, but that's the path that I chose because I like helping people. HAWKINS: I don't think I've realized how much she sacrificed, and how dangerous it was and how she couldn't - she - there might be a day when she wouldn't come home, and I wouldn't know what that was, you know. And - because D.C. was a scary place, and in some instances still is. BLAIR: It was his mom's work that first gave Corey Hawkins the idea that entertainment and serving people could be connected. HAWKINS: She definitely loves the arts, as do a lot of her partners. They do this thing called Friday Nights Out or or Beat the Streets where they bring all the kids together, they set up these stages, they raise money and they let the kids perform. And it's a big thing. Like, the whole neighborhood comes out. They bring their lawn chairs. People come out and cook, and it's all sort of art-driven. BLAIR: After graduating from the Duke Ellington School of the Arts in D.C., Corey Hawkins got a full scholarship to study drama at Juilliard. At first, he was worried the school would turn him into a classically trained robot. But then he read a book by the president of that school Joseph Polisi "The Artist As Citizen." HAWKINS: It just inspired me, you know, in a way that it wasn't just about the sort of fame and the legendary alumni, you know, which can be a little intimidating, but it became about the work and what we're trying to say with our art, you know? BLAIR: In the book, Polisi writes that the artist has a social responsibility to make the world a more livable place. It's something Hawkins thought a lot about during his training, and it's partly what drew him to the character he's playing now on Broadway. In "Six Degrees Of Separation," he plays Paul, a young African-American man who cons an upper class New York couple. He pretends to be the son of Sidney Poitier. HAWKINS: (As Paul) My father, being an actor, has no real identity. BLAIR: The couple is smitten. The wife is played by Allison Janney. ALLISON JANNEY: (As Ouisa) I just loved your kid so much. I wanted to reach out to him. BLAIR: But eventually, Paul gets caught and arrested. The couple try to help him but can't because they don't know his real name. HAWKINS: He gets lost to the criminal justice system because why? Because they don't know his name, which is so heartbreaking, you know? It's like that is the world we live in where young black men are just numbers, and in our society they're statistics. BLAIR: Corey Hawkins understands this character, and as an artist wants to validate him. It's something he watched his mother do with kids in D.C. whether you're an officer or an artist, do it as a citizen. Elizabeth Blair, NPR News. Transcript provided by NPR, Copyright NPR.